On the location map, you have a button called "Get Directions" where you can click to get the route from the point you choose to our kennel. Our Shelter hours are from 9:30 a.m. to 12:30 p.m. every day including Saturdays, Sundays and holidays. Weekends are advised for adoptions. 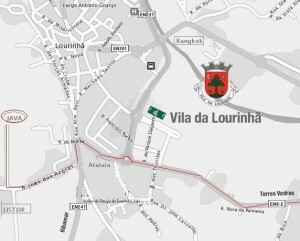 To help you find the best route, you will find in several places of the village of Lourinhã some arrows to indicate the way.